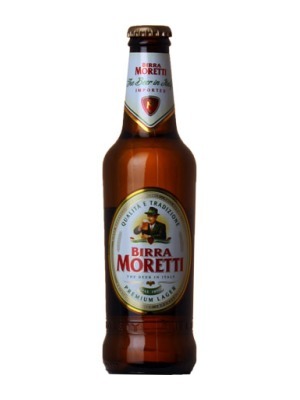 Birra Moretti Lager is a popular Lager available from Tesco Groceries in 330ml to buy online. Visit Tesco Groceries for the best price for 330ml of Birra Moretti Lager or compare prices on our other Lager products. Birra Moretti is a traditional Italian pale lager first produced in 1860 and hasn't changed since then. A wide range of hops are used to give the beer its distinct aroma and fragrances with a slightly dry aftertaste. An Italian classic. 4.6% abv. Where to buy Birra Moretti Lager ? Birra Moretti Lager Supermarkets & Stockists. You can buy Birra Moretti Lager online in most retailers and find it in the Lager aisle in supermarkets but we found the best deals online for Birra Moretti Lager in Tesco Groceries, TheDrinkShop, and others. Compare the current price of Birra Moretti Lager in 330ml size in the table of offers below. Simply click on the button to order Birra Moretti Lager online now.